The Motability Scheme enables disabled people to use their government-funded mobility allowance to lease a new car, scooter or powered wheelchair. In fact, since the Scheme was set up in 1978, Motability has helped over 3 million people get mobile with a new vehicle. The Motability Scheme is available for those who receive the Higher Rate Mobility Component of the Disability Living Allowance or the War Pensioners' Mobility Supplement. We have Motability Specialists on hand who are able to offer helpful advice and assistance on the scheme itself, deciding which car to buy and on the application process. We're pleased to announce that April is our dedicated Motability month. This is an opportune time to discover the benefits of Motability through the Birchwood Ford, offering a large range of cars to choose from. In order to take advantage of the Motability Scheme, there are a variety of criteria that you must meet. 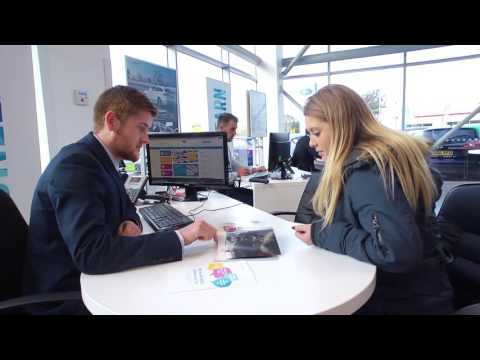 The process is straight forward and our Motability Specialists at each Birchwood Ford showroom will be able to walk you through each step including confirming if you are eligible for the scheme. If you visit your nearest Birchwood Ford showroom you can meet the team and find out who will be taking care of you. What are the benefits of the Motability Scheme? The Motability Scheme was created in order to help people with different abilities to stay mobile. The ownership experience is kept as simple as possible and is very convenient, with the majority of aspects of car ownership included. Servicing and MOT, road tax and replacement of certain features is all covered within the scheme making it really easy to stay motoring. Ford has been the largest supplier of vehicles to Motability for the last three years. Ford accounts for one in five of the vehicles delivered via the Motability scheme, which was set up to help disabled people, their families and carers become mobile. Click on the links below to find out more information about each car available on the Motability Scheme. For full details of all terms and conditions, click here.